This is the MLT-12 also known as the Moonie named after it's crescent moon shape. This design allows the entire movement to be viewed. The overall height is less than twelve inches. It is powered by a 4.5 lb weight. 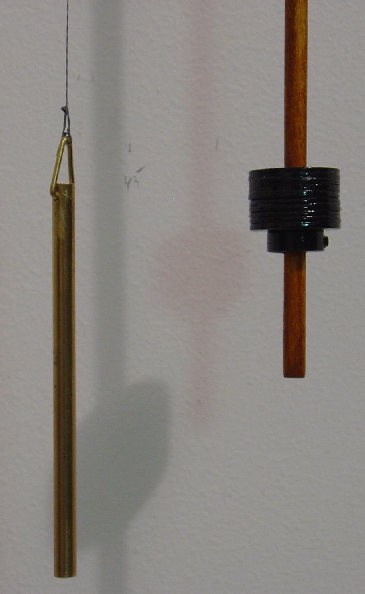 The counter weight is made from 1/4" brass rod. The bob is made from 1" fender washers and is adjusted by the collar below it. It will run four days on a winding. 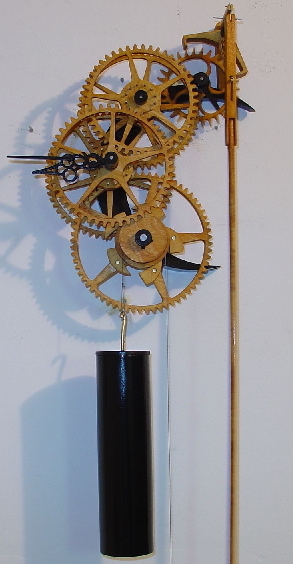 It has a seconds pendulum around 42" long. Time is set by turning the minute hand clockwise. The hour hand will follow setting the correct time.